These commonly-used fields in iostat shouldn't be commonly-used. iostat, from the excellent sysstat suite of utilities, is the go-to tool for evaluating IO performance on Linux. It's obvious why that's the case: sysstat is very useful, solid, and widely installed. System administrators can go a lot worse than taking a look at iostat -x. There are some serious caveats lurking in iostat's output, two of which are greatly magnified on newer machines with solid state drives. Both of these lines are from the same device (a Samsung 840 EVO SSD), and both are from read-only 4kB random loads. What differs here is the level of parallelism: in the first load the mean queue depth is only 0.78, and in the second it's 15.27. Same pattern, more threads. The average service time (svctm field) value is meaningless, as I/O statistics are now calculated at block level, and we don't know when the disk driver starts to process a request. Taken literally, this means the device was responding in 60µs when under little load, and 10µs when under a lot of load. That seems unlikely, and indeed the load generator fio tells us it's not true. So what's going on? 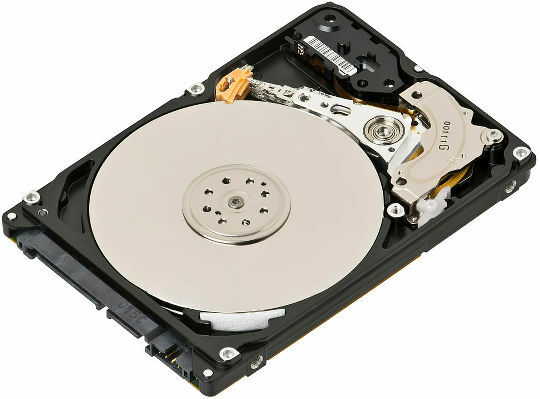 Magnetic hard drives are serial beings. They have a few tiny heads, ganged together, that move over a spinning platter to a single location where they do some IO. Once the IO is done, and no sooner, they move on. Over the years, they've gathered some shiny capabilities like NCQ and TCQ that make them appear parallel (mostly to allow reordering), but they're still the same old horse-and-carriage sequential devices they've always been. Modern hard drives expose some level of concurrency, but no true parallelism. SSDs, like the Samsung 840 EVO in this test, are different. SSDs can and do perform operations in parallel. In fact, the only way to achieve their peak performance is to offer them parallel work to do. If Jane does one thing at a time, and doing ten things takes Jane 20 minutes, each thing has taken Jane an average of two minutes. The mean time between asking Jane to do something and Jane completing it is two minutes. Alice, like Jane, can do ten things in twenty minutes, but she works on multiple things in parallel. Looking only at Alice's throughput (the number of things she gets done in a period of time) what can we say about Alice's latency (the amount of time it takes her from start to finish for a task)? Very little. We know its less than 10 minutes. If she's busy the whole time, we know it's 2 or more minutes. That's it. What's going on with %util, then? The first line is telling us that the drive is 78.4% utilized at 13823 reads per second. The second line is telling us that the drive is 100% utilized at 72914 reads per second. If it takes 14 thousand to fill it to 78.4%, wouldn't we expect it to only be able to do 18 thousand in total? How is it doing 73 thousand? Device saturation occurs when this value is close to 100% for devices serving requests serially. But for devices serving requests in parallel, such as RAID arrays and modern SSDs, this number does not reflect their performance limits. As a measure of general IO busyness %util is fairly handy, but as an indication of how much the system is doing compared to what it can do, it's terrible. Iostat's svctm has even fewer redeeming strengths. It's just extremely misleading for most modern storage systems and workloads. Both of these fields are likely to mislead more than inform on modern SSD-based storage systems, and their use should be treated with extreme care.